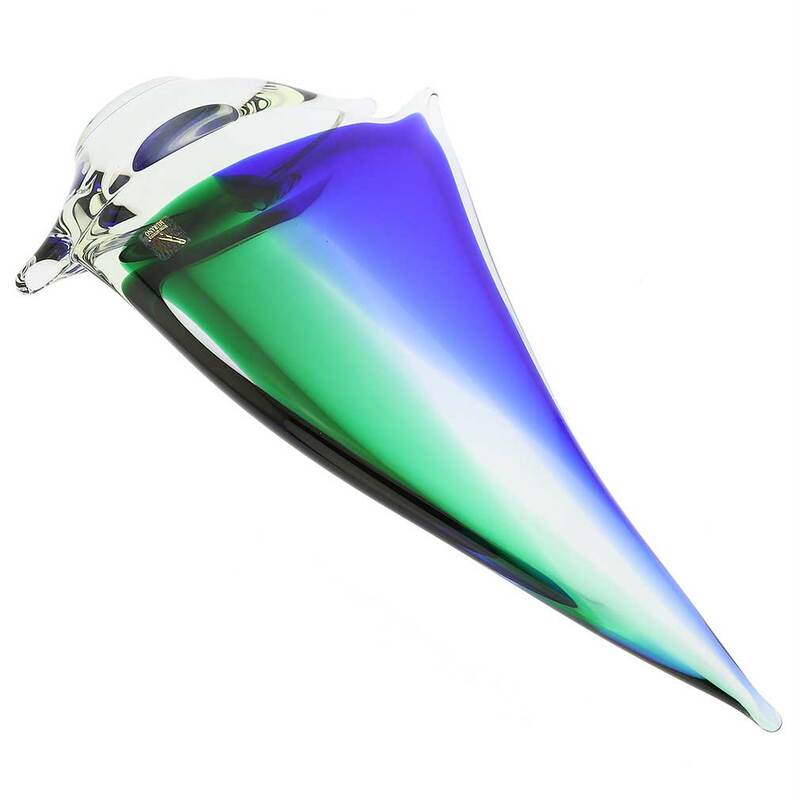 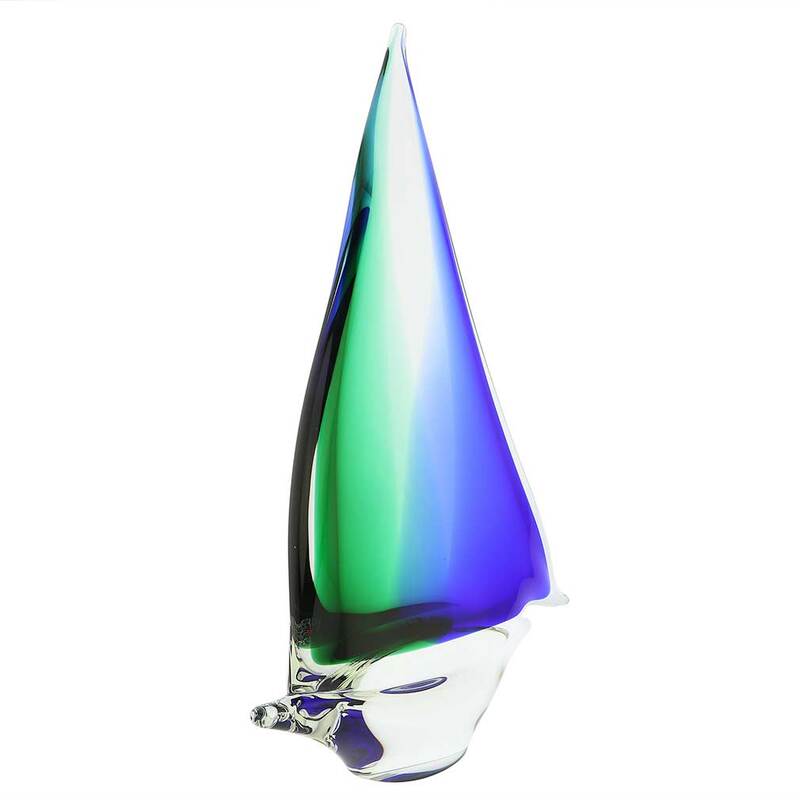 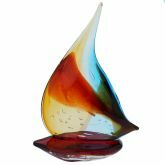 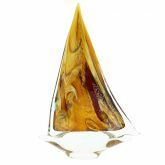 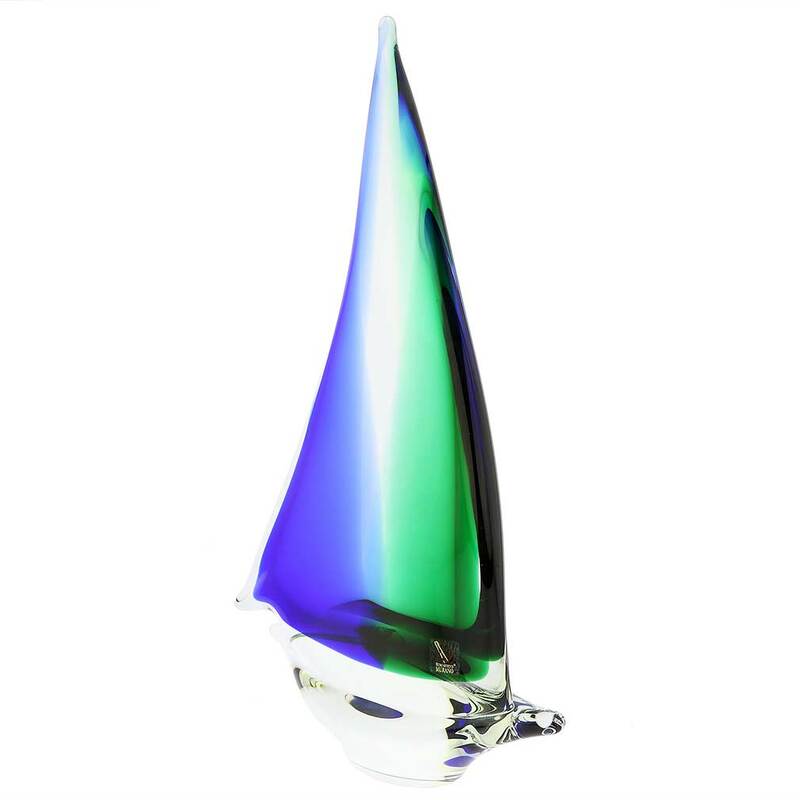 Feel the salty air, imagine the far-away lands, and get immersed in the ever-changing beauty of the sea when you look at this gorgeous handcrafted Murano Glass sailboat. 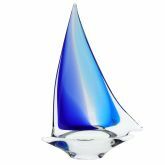 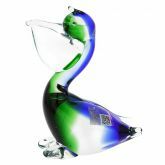 The graceful boat proudly displaying its elegant yet bold head-sail in tender aqua and rich blue showcases the exceptional skill, imagination, and passion of Murano Glass artisans. 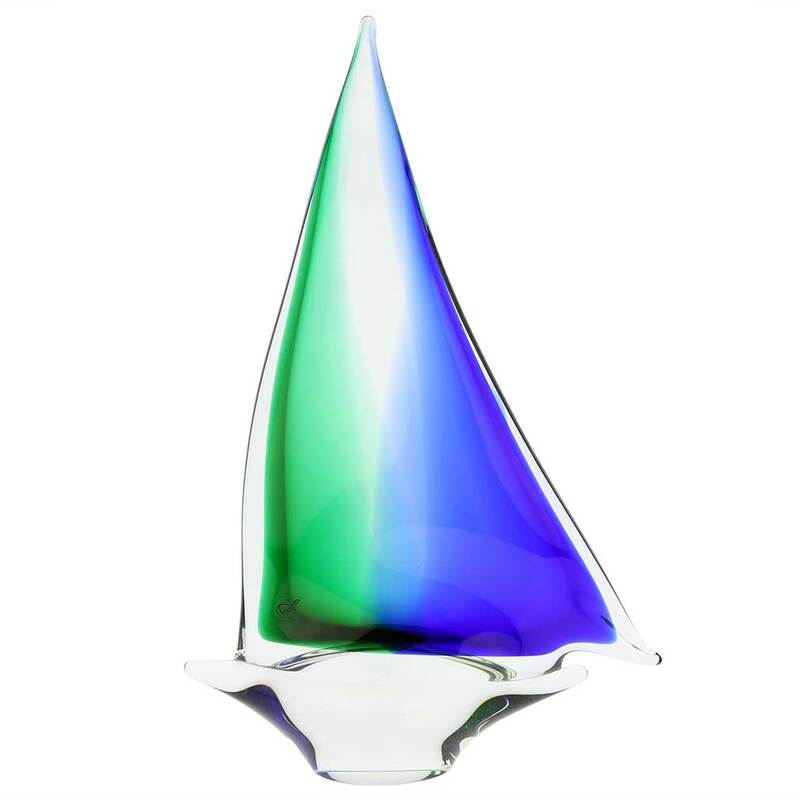 Using only basic tools and world-famous Sommerso technique invented on this Venetian Island in the 1930's, the island's top masters managed to breathe life into a static glass sculpture, and create dynamism of a vessel in motion . 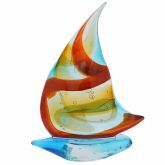 So strong and bold yet so exquisite and beautiful, this Murano sailboat symbolizes the unique city of Venice, sailing through time surrounded by the stormy seas and the headwinds that threaten its very existence. 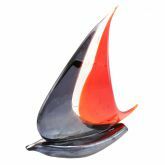 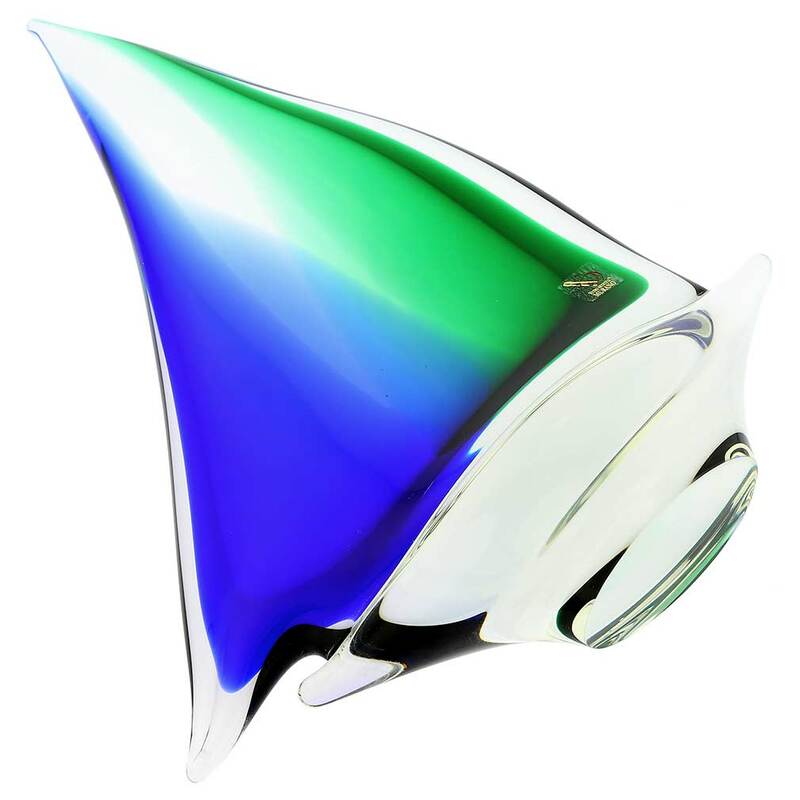 This Murano glass boat makes a rich accent in any home or office, whether furnished in classic or contemporary style. 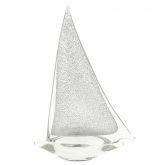 It also makes a great symbolic gift to celebrate the start of a new chapter, mark a special life or career milestone, or to impress any sea-lover, fisherman, or a romantic at heart. 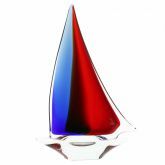 Measurements: This glass sailboat sculpture measures 15 inches in height 10 inches in width and 4 inches in depth. 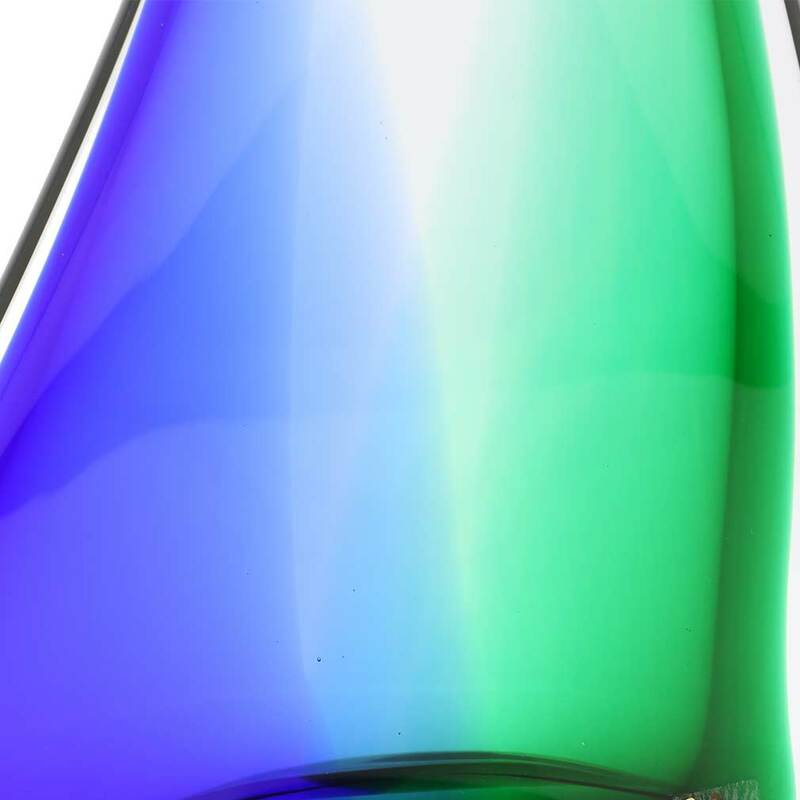 It is very well packaged to avoid breakage in transit. 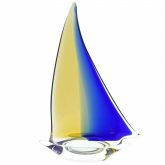 Authenticity: The glass sail boat is signed by the master, the official sticker of Murano Glass-makers' Consortium is attached, and it is accompanied by the certificate of authenticity. 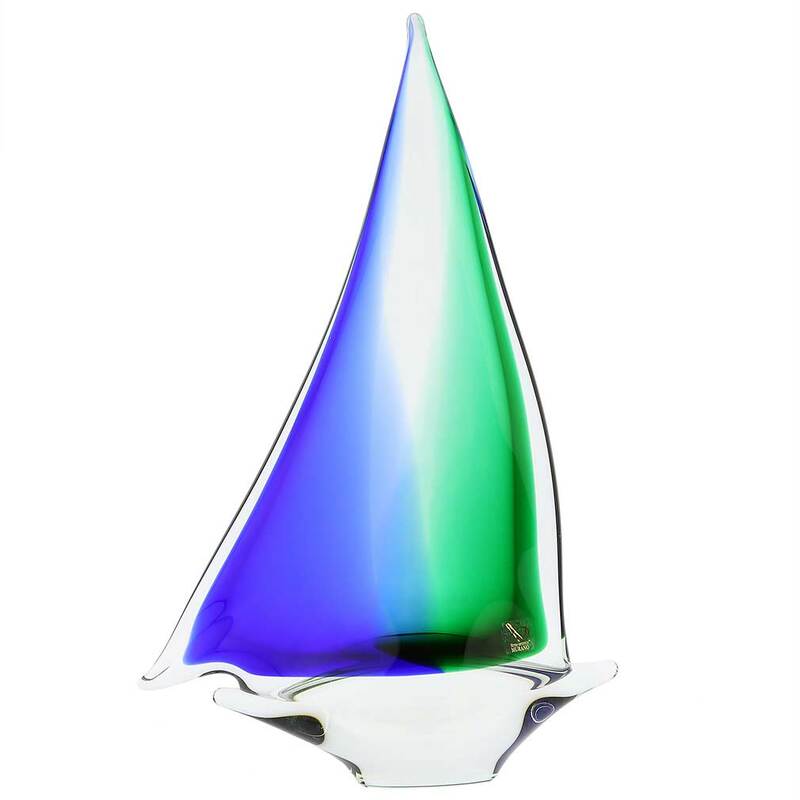 As this Venetian boat is a unique piece of art made by hand, some variations of colors and patterns as well as random bubbles inside glass are possible and do not constitute a defect but rather serve as the proof of authenticity.